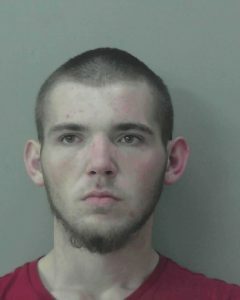 HIAWASSEE, Ga. – Towns County Sheriff’s Office conducted a drug operation dubbed “Operation Trial Run” consisting of a seven month drug investigation in which undercover agents, along with uniformed patrol officers, arrested suspects throughout the county on various drug and other related offenses. The operation was a seven month evaluation, beginning in May of 2018, running through January, 2019, with the department using an in-house drug agent to aid in the investigations. 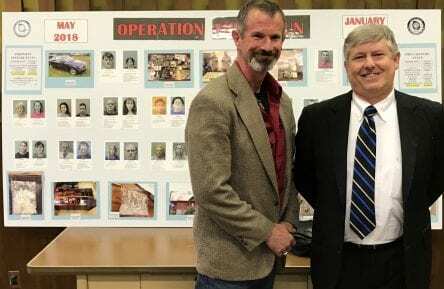 Towns Sheriff’s Office reached out to District Attorney Jeff Langley and Union County Sheriff Mack Mason, along with Union’s Drug Unit Supervisor Chad Deyton and other drug agents, for initial assistance in casting the operation off to a productive start. 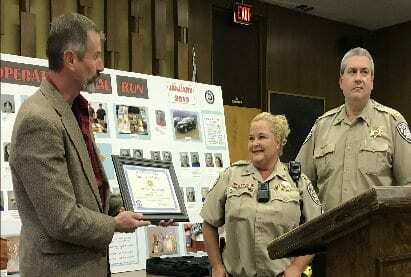 The sheriff’s office stated that Deyton, along with the other agents, provided guidance and direction as to how the unit operated, additionally assisting with some of the early investigations. During the seven month “Operation Trial Run” investigation, 37 suspects were arrested on over 150 drug and additional various charges. 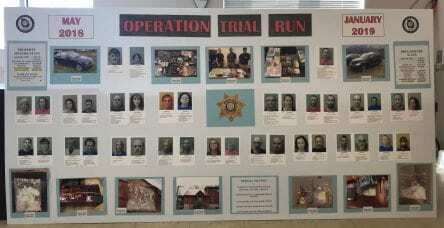 Numerous search warrants were acquired and executed throughout Towns County during the operation. A total of more than $81,000 worth of illegal drugs were taken off the streets and from residences throughout the county. “Operation Trial Run” resulted in the seizures of a residential home, vehicles, cash, and firearms valued at more than $322,000. Once the seizures have been successfully completed and awarded back to the sheriff’s office, the funds can be used for law enforcement purposes to combat illegal activity within the county. 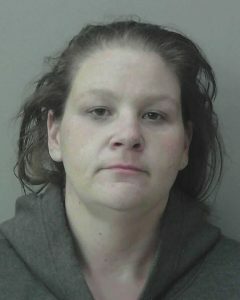 According to Towns County Sheriff’s Office, “Operation Trial Run” proved to be “very successful.” The agency stated that it has and will continue to operate with an in-house drug agent, and additional suspects have since been arrested and more seizures made, with other arrests and seizures forthcoming in the near future. HIAWASSEE, Ga. – Towns County Sheriff’s Office is offering a $500 cash reward for information leading to the arrest and conviction of those responsible for the theft and criminal damage which occurred at the Georgia Mountain Fairgrounds. Anyone with information is asked to call the Towns County Sheriff’s Office at 706-896-4444. Any and all information will be kept confidential, the agency said. On Saturday, April 6, Towns County Sheriff’s deputies responded to the Georgia Mountain Fairgrounds in reference to a reported theft and criminal damage which had occurred the night prior. Upon arrival, deputies found the front gate to the Georgia Mountain Fairgrounds had sustained major damage, appearing to have been caused by a vehicle driving through the locked gate. Furthermore, the suspects attempted to steal an ATM machine located on the property. A Georgia Mountain Fairgrounds’ pickup truck was discovered stolen, and the vehicle was believed to have been used to crash through the front gate of the fairgrounds. 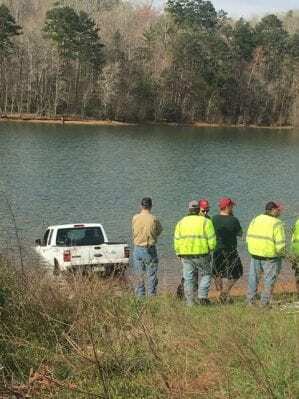 While the deputies were on-scene, taking the initial report and processing evidence, the stolen truck was located in Lake Chatuge by Towns County Fire and Rescue Water Recovery Team in Clay County, NC. HIAWASSEE, Ga. – Substance abuse casts a dark shadow over far too many lives, and law enforcement officers continue the battle to combat the epidemic from a legal standpoint. McGaha and Peppers are being held at the Towns County Detention Center without bond. 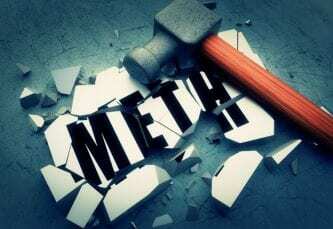 While circumstances surrounding individual drug use differ, statistics reveal that the proportion of Americans who use methamphetamine on a monthly basis has hovered in the range of .02 to .03 percent since 1999. According to the National Institute on Drug Abuse, methamphetamine is highly addictive due to its potent action on the brain’s “feel-good” chemicals: dopamine and serotonin. Dopamine induces feelings of pleasure, reward, and motivation. Because methamphetamine significantly increases the brain’s levels of dopamine, the substance creates a euphoric rush when users ingest, inhale, or inject the drug. Methamphetamine impacts the brain’s levels of serotonin, which is responsible for regulating mood, appetite, and memory. When the effects of methamphetamine subside, the brain is depleted of both dopamine and serotonin, creating feelings of depression and anxiety. Repeated use of methamphetamine leads to increased tolerance, causing users to require a higher dose to receive the same effect. In 2018, Georgia Bureau of Investigation listed methamphetamine as the lead substance tested in the state crime lab. YOUNG HARRIS, Ga. – A circulating scam targeted toward Towns County residents was brought to FYN’s attention. Towns County Sheriff’s Office said the agency has recently received several complaints of attempted phone scams. The caller identified themselves as Towns County Sheriff’s Office personnel, trying to acquire funds or cash via telephone. 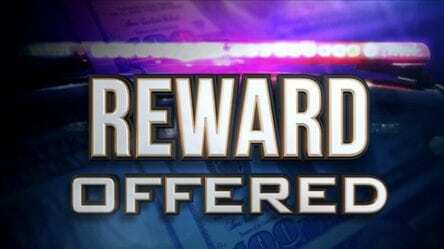 Towns County Sheriff’s Office informed that personnel does not call residents by phone in an attempt to obtain funds or cash for any reason whatsoever. If you receive a phone call from a person who identifies him or herself as an employee of the Sheriff’s Office, and you have caller ID, note the number which the call came from. Note the time that the phone call came through as well. Immediately, call Towns County 911 to have a deputy make a report. Again, Towns County Sheriff’s Office personel never call residents by phone to acquire funds or cash. YOUNG HARRIS, Ga. – Towns County Sheriff’s Office investigators and deputies responded to a residence Thursday, March 28, on Duncan Road in Young Harris in reference to a reported domestic incident involving physical injuries. Upon the officers’ arrival, a female victim was located at the residence with visible physical injuries. The victim refused medical treatment at the time, although the victim agreed to later allow a family member take her for medical treatment. Upon further investigation into the incident, officers located the suspect at the residence. Deputies arrested Derick Randal Canup, 28, of Hayesville, NC, on one count of battery under the Family Violence Act (FVA). Canup was arrested at the scene without incident. Additionally, Canup was arrested on an active warrant out of Clay County, NC, for failure to appear in court on possession of methamphetamine and drug paraphernalia charges. 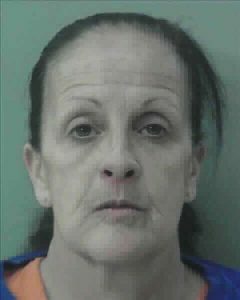 Canup was released on bond from Towns County Detention Center on the battery FVA charge and turned over to Clay County authorities on the arrest order. The battery FVA charge will be forwarded to the Enotah Circuit District Attorney’s Office for prosecution. Canup is presumed innocent until proven guilty in a court of law. 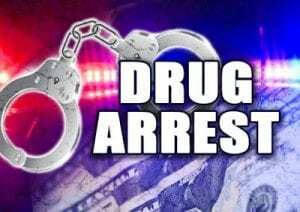 YOUNG HARRIS, Ga. – On Saturday, March 23, Towns County Sheriff’s Office deputies arrested a suspect on drug charges following a traffic stop in Young Harris. A Towns County Sheriff’s Office deputy stopped a White Jeep Liberty on Highway 66 on a traffic violation. The investigation is active and ongoing. The case will be referred to the Enotah Circuit District Attorney’s Office for prosecution. Walker is presumed innocent until proven guilty in a court of law. Methamphetamine use can easily lead to a serious addiction, and its abuse is a widespread issue in the United States. Use of the drug creates serious health problems and, in some cases, leads to fatal consequences. Data from the National Survey on Drug Use and Health (NSDUH) claimed that approximately 774,000 people were current methamphetamine users in 2017, roughly 0.3 percent of the population. That amount is up starkly from the 667,000 people who were current methamphetamine users in 2016. 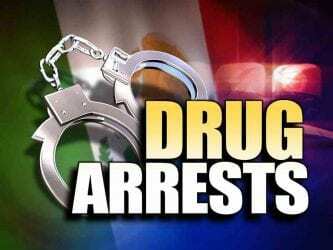 YOUNG HARRIS, GA – Deputies and investigators with the Towns County Sheriff’s Office arrested two suspects on drug charges following a March 12 traffic stop. The investigation is active and ongoing. The case will be referred to the Enotah Circuit District Attorney’s Office for prosecution.